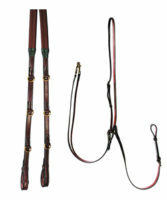 Martingales are used to help control a horse’s head carriage; standing and running martingales are most commonly seen. Breatplates are used to stop the saddle slipping backwards. 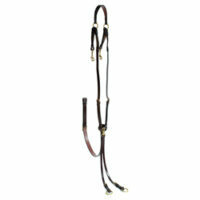 World Wide Tack stocks a wide range of martingales, breastplates and leather training aids, all made from beautiful English Leatherwork. 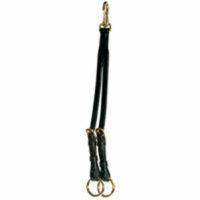 As a result, our tack is second to none and is ideal if you’re looking for a long-lasting quality product. Search our site today for a continental breastplate, Market Harborough or De Gogue; we are proud of the fact that our range of innovative, leather horse riding products is used by a multitude of professional horse riders.